MOTIVATED SELLER! NEW PRICE REDUCTION making this home the LOWEST PRICE 4 BEDROOM (PLUS OFFICE!) SINGLE FAMILY HOME IN CELEBRATION BY $70000!! This is it you're home! 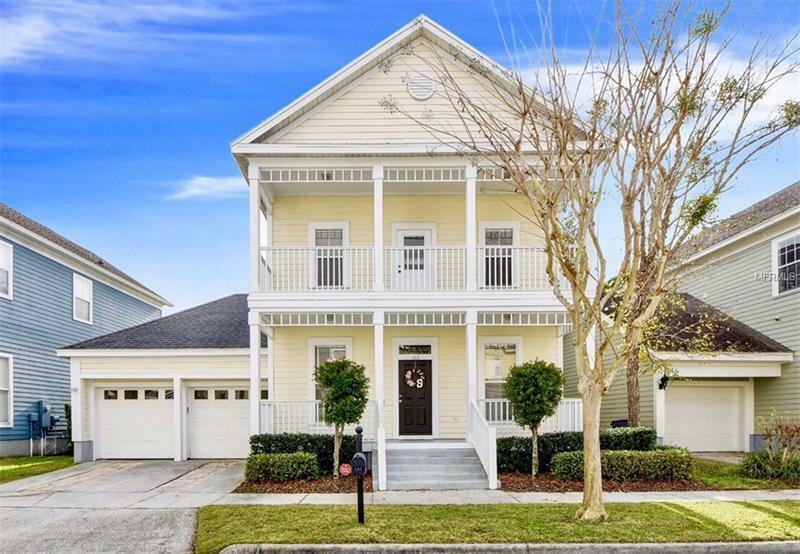 From the dual front porches to the large fenced in backyard you can't go wrong with this gem in Celebration. Located just a short walking distance from the pool and parks this home boasts brand new interior paint (Feb 2019-color shown in living room/kitchen pictures was used throughout) exterior was painted in 2018 wood floors throughout the first floor and has a fully updated kitchen with 42" cabinets sporting crown molding soft-close drawers and stainless steel appliances (Dishwasher brand new Jan 2019 Microwave new Nov 2018). The large windows in the living room create beautiful natural light for the entire downstairs. The backyard is large and could easily fit a pool. The balcony off of the master creates the perfect setting to sit relax and enjoy your morning cup of coffee. The master bedroom also features an en suite bathroom with a walk-in closet. This home is priced to sell and will not last...Come and see it today you'll be glad you did!